Offering quality car audio and mobile video systems, Automotive Concepts is Chicago’s answer for superior mobile electronics. From car alarms to car DVD players and navigation systems, we have the right products and the necessary installation expertise to enhance your vehicle. When you’re looking for fast service, affordable rates, and quality workmanship, we’re the team that you can depend on. If you’re ready to upgrade your vehicle’s sound system or you’re looking for a brand-new car alarm to keep your vehicle safe, Automotive Concepts is here to provide you with top-quality mobile electronics installation. From car audio and mobile video to marine electronics and navigation systems, we’re the Chicago area’s answer for great vehicle comfort, safety, and security. 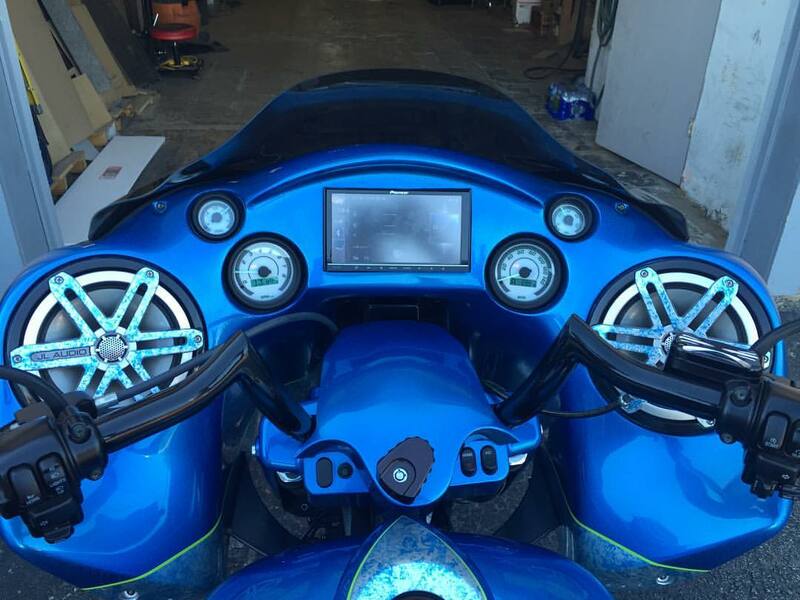 We provide service for cars, trucks, boats, motorcycles, and RVs, so you can turn to us for all of your mobile electronics needs. No matter what type of car stereo or video system you want to rev up your driving experience, we’ll be able to deliver impeccable results for an affordable rate. Call or e-mail us today to find out more about your options for mobile audio and video systems! Choose an option below that best fits your needs. I WANT IT LOUDER THAN WHAT I HAVE. If you’re wanting keep your factory radio and all your controls, we would start off by adding a multichannel amplifier, a couple pairs of new speakers, and, most importantly, a signal processor. 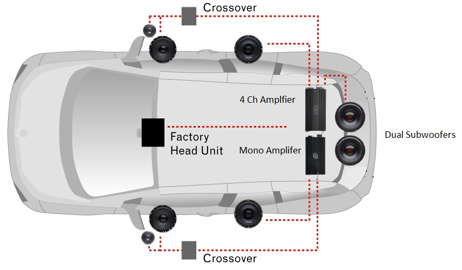 This will double the power being delivered from your factory radio and give you better sound control. If you’re happy with the sound from the factory speakers but want some bass, an amplifier, signal converter, and small 10″ subwoofer w/enclosure are the perfect solution. 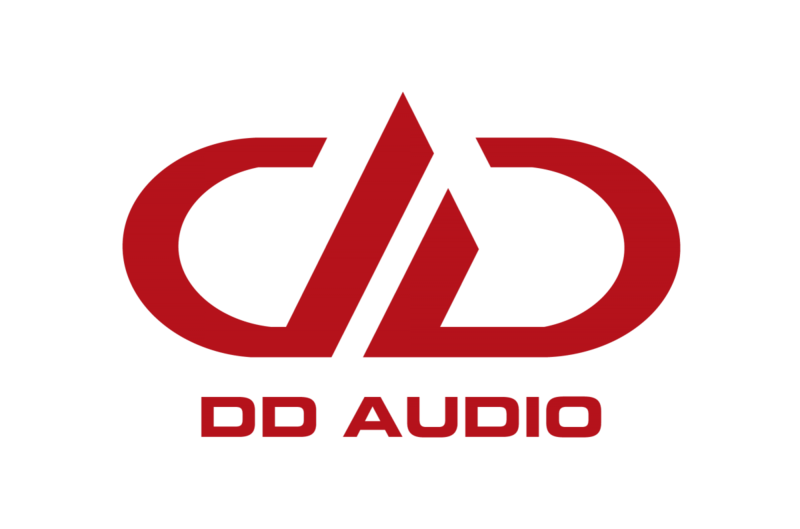 We have been able to add amazing sound for those wanting to add some bass to a stock audio system. If you’re happy with the look and control of the factory radio, but want some bass and better sound, this package includes new speakers, a subwoofer, a 5-channel amplifier, and a digital signal converter for a perfect fit solution. I WANT A CLEAN-SOUNDING SYSTEM THAT IS LOUD. This setup will impress some of you audiophiles. We include a pair of separates (which come with a crossover and tweeters), a pair of coaxial speakers, a 12″ subwoofer and subwoofer-specific enclosure, and a 5-channel amplifier that will make you feel like you’re in a small concert venue with a really nice sound system! 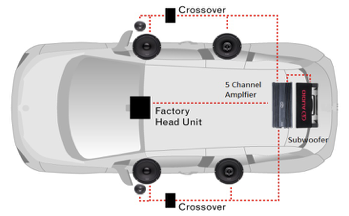 First, we will carefully map every curve and every surface of the interior of your vehicle to reflect the best sound and then delay the signal to each speaker with the help of a digital sound processor to match the distance to the driver position. This means you’ll experience the same pure sound as if we placed you in the perfect position in your living room. This tricks your brain into thinking that the music is in front of you. While choosing great mobile electronics is part of making your vehicle safer and more comfortable, great installation is essential if you truly want to enjoy these products and get the most out of them. When you turn to Automotive Concepts for remote starters, car alarms, and other great additions to your vehicle, you can rest assured that you’ll get impeccable installation from our team. Our licensed and insured technicians have 20 years of experience providing drivers with car audio/video systems and other electronic accessories, and we’ll use all of the expertise we’ve gained throughout the years to ensure that you get the results you deserve. What’s more is that we offer a lifetime labor guarantee, so you never have to worry about inferior installation. If you’re ready to improve your ride with car DVD players, navigation systems, and other aftermarket accessories, give us a call today. We've got what it takes to ensure that your vehicle is more than just a mode of transportation. 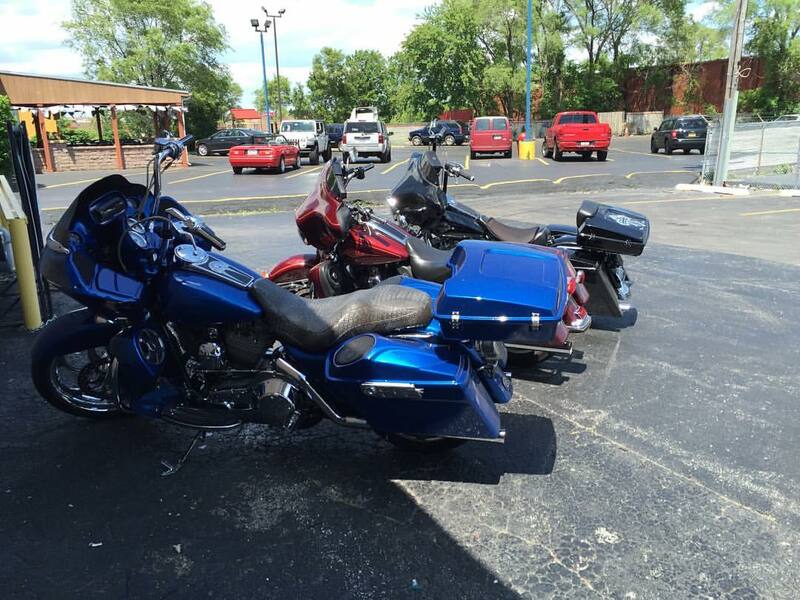 With our help, riding in your car, motorcycle, truck, or boat will be safe, comfortable, and a good time! For your peace of mind and security, Automotive Concepts is fully licensed and insured. We're also authorized BAID system installers, and we're proud to be affiliated with AAMP of America. 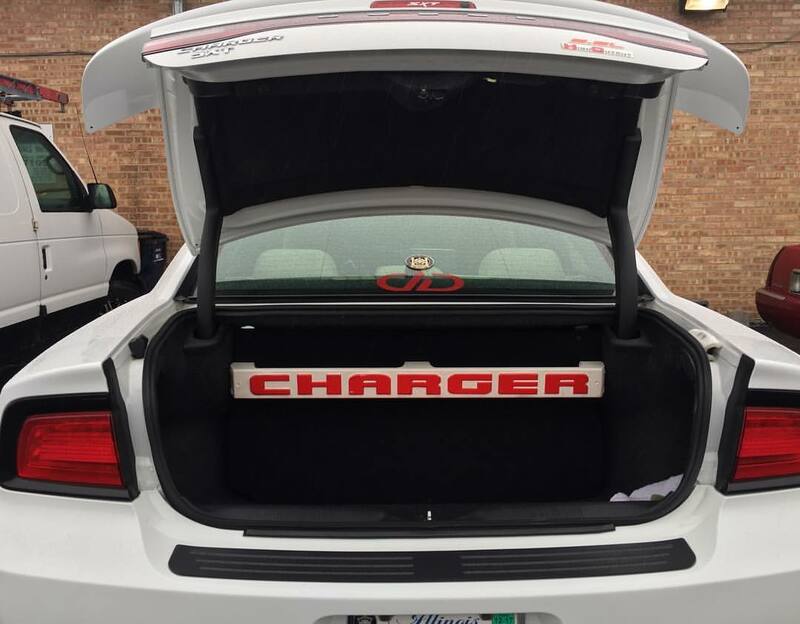 Located in Crestwood, IL just 1/2 mile south of Interstate 294 on Cicero Avenue, Automotive Concepts provides quality car audio and mobile video systems to local drivers. We also provide car audio electronics and more to customers in Chicago, Chicago Heights, Joliet, Frankfort, Summit, Calumet City, Cicero, and Brookfield. When you need car alarms, remote starters, car DVD players, or other electronics for your vehicle, we’re the source that you can trust to provide you with top-notch products and installation at a price that you can afford. 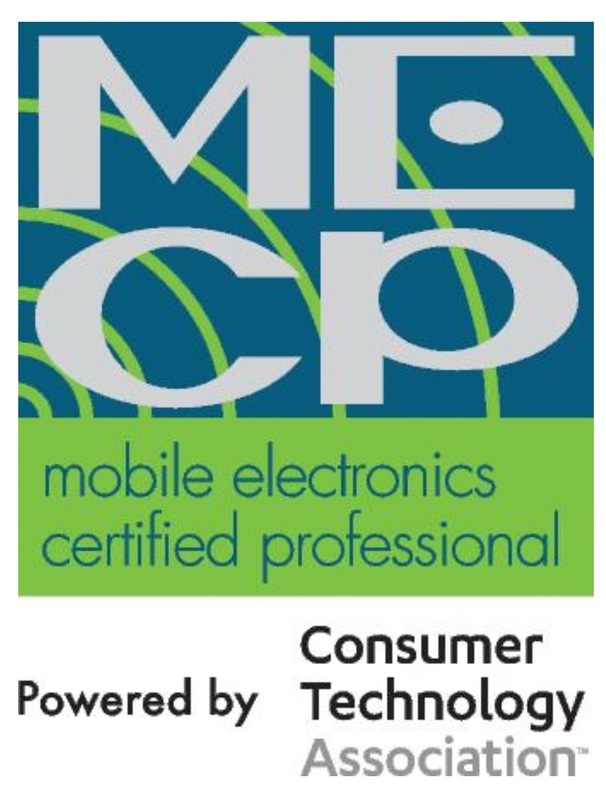 As a family-owned company, we’re committed to offering our customers fair prices on all mobile electronics components as well as precision installation, so you can turn to us when you’re ready to add a little something extra to your vehicle without the fear of going over budget. If you want to get a handle on what your costs will be before you decide on which equipment you're going to add to your vehicle, we provide free estimates to all of our customers. Our licensed and insured technicians have over 25 years of experience!